When it comes to earphones and headphones, Arctic Cooling is not the first name you think of. In fact most people probably wouldn’t associate a cooling company with audio products at all. Sennheiser, Sony and Bose get a lot of press for high-end headphones, and even some mid-range earphones such as these. There are a lot of good products out there that don’t cost upwards of $100 however. 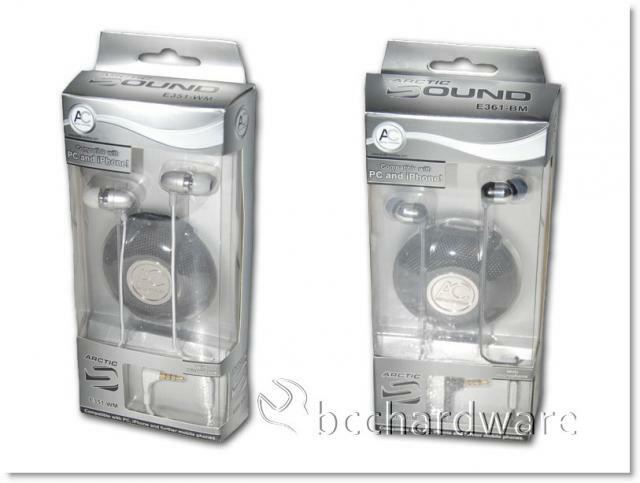 We will be looking at a couple of pairs of earphones today from Arctic Cooling/Sound that offer good performance, great comfort and the option of a microphone in a package that is tidy and well finished. Both packages are virtually identical and appear quite finished and polished. The package looks well done and would bode will on a retail shelf. While some people have ears that do not fit earphones that well, the design of the Arctic Sound earphones should make them more widely accepted. 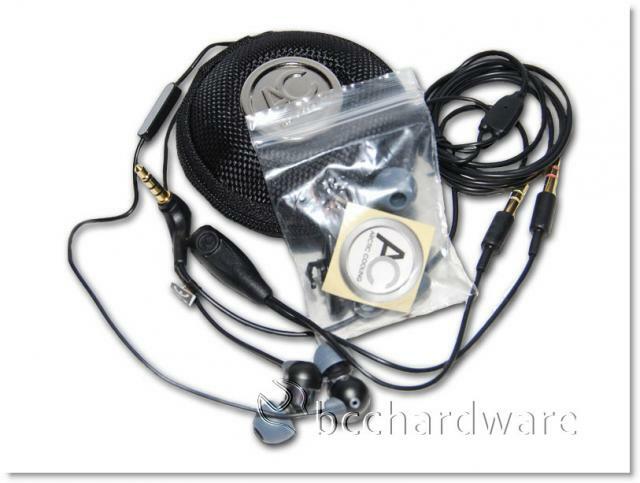 They come with three different sizes of rubber ear pieces that offer passive noise isolation. A few reasons why I like earphones are that they are easier to back along in your carry-on than large headphones and soft silicon earpieces are quite comfortable. 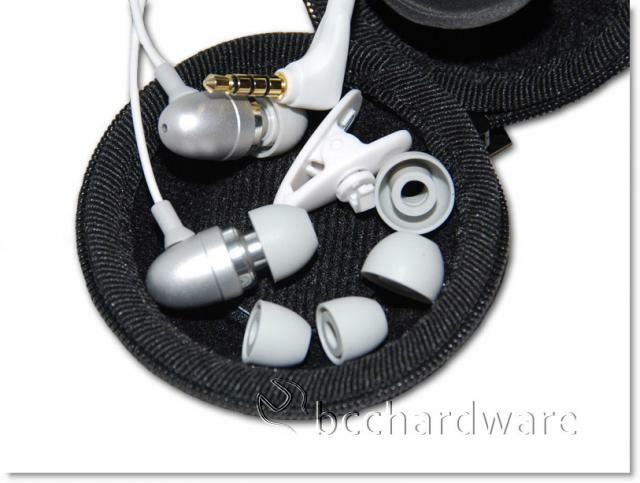 Also, because the earpieces are removable, they can be cleaned and kept in better condition than other headphones. There aren’t a lot of goodies with a set of earphones, but Arctic Sound has done well by including a carrying case, a “Y” adapter that allows you to plug the headset into your PC as well as extra earpieces and a clip. Both the E351 and E361 can operate as earphones and a headset and when using the microphone it is nice to be able to clip it into proper position. The only downside with this set is that the cord is pretty short and if you want to use them with your PC, you’ll likely need some sort of an extension cable to reach around the back of your desktop PC. If you are using these with your laptop, you’ll be good to go.